It goes without saying that hurricanes can cause an incredible amount of property damage over a vast area. Such was the case when Hurricane Isaac rolled through Louisiana’s Northshore in August 2012. Fontainebleau State Park (www.fontainebleaustatepark.com) was one of Isaac’s many causalities, as 12 Lake Pontchartrain vacation cabins were flooded by the storm surge, which in turn caused massive damage to the roofs, ventilation systems, fixtures and docking areas of the structures. 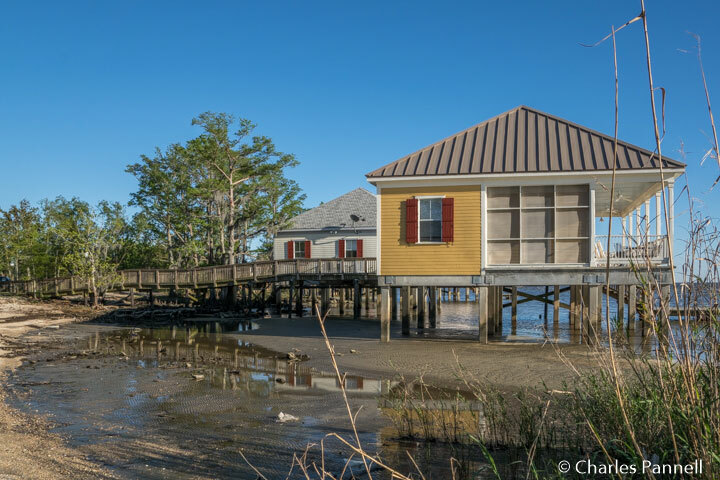 And although this Mandeville park reopened in the fall of 2012, the cabins remained out of commission due to a lack of funds. Finally $2 million in FEMA funds and state dollars came through, the cabins were rebuilt, and they reopened on August 17, 2015. 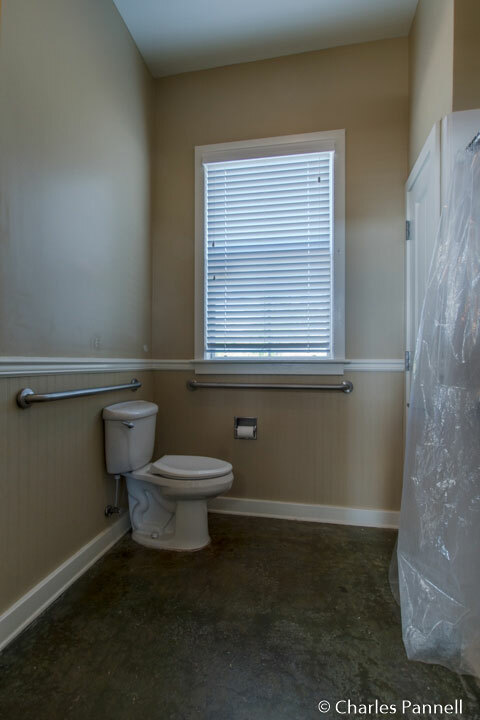 And not only did they do a good job with the renovations and repairs, but they also did an excellent job with the accessibility. The twelve cabins are situated on piers seven feet above the lake, with boardwalk access out to them. Cabin 1 and Cabin 2 are the accessible models, and they each offer barrier-free access from the accessible parking area. These two cabins boast the same access features, but Cabin 1 affords more privacy, as it only has a neighboring cabin on one side. 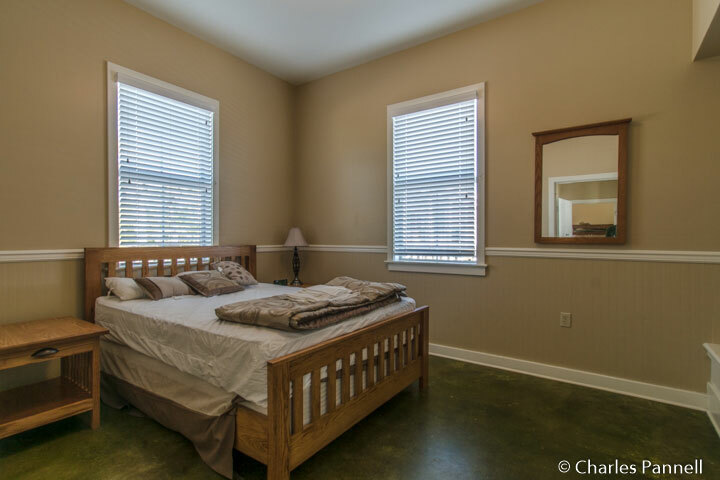 Cabin 1 has wide doorways, good pathway access, and tile floors for easy rolling. 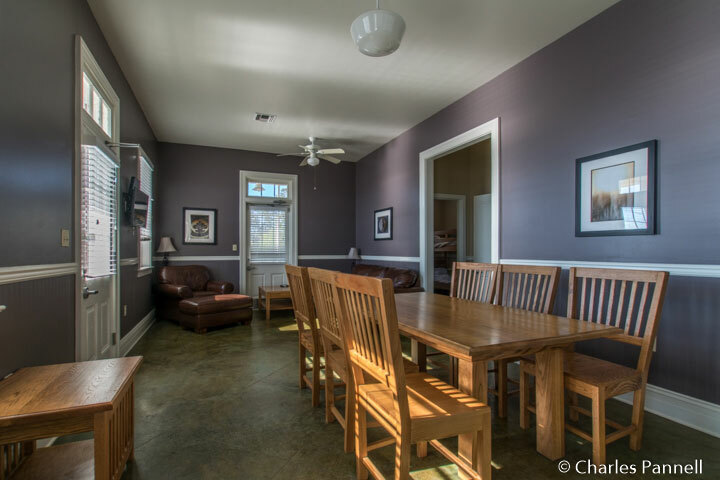 The great room is furnished with a 14-inch high queen-sized sleeper sofa, an easy chair and a dining table with six chairs. 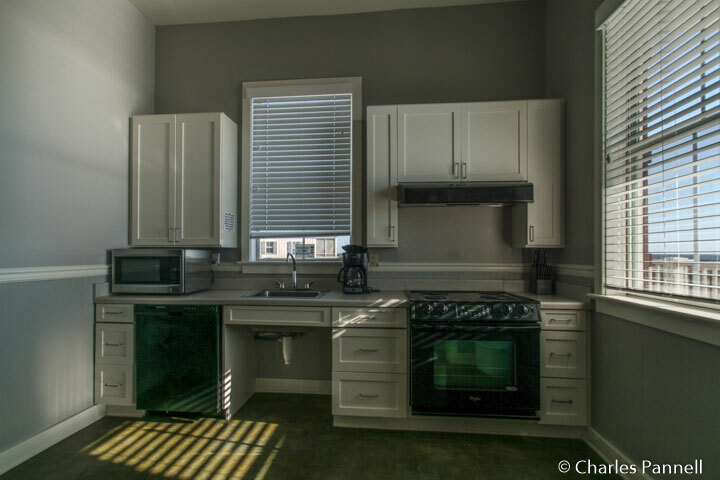 The adjacent kitchen has plenty of room for a wheelchair or scooter, and is equipped with a stove, oven, roll-under sink, dishwasher, microwave and a full-size refrigerator. It also has a more than ample selection of dishes, glasses, pots, pans and utensils. The two-bedroom cabin can sleep up to eight people. 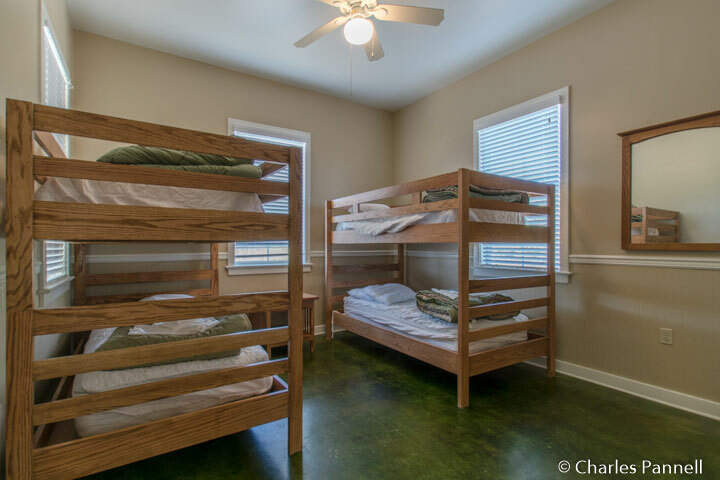 One bedroom is furnished with a 27-inch high double bed with wheelchair access on both sides, and the other features two sets of 22-inch high bunk beds with an access aisle in the middle. 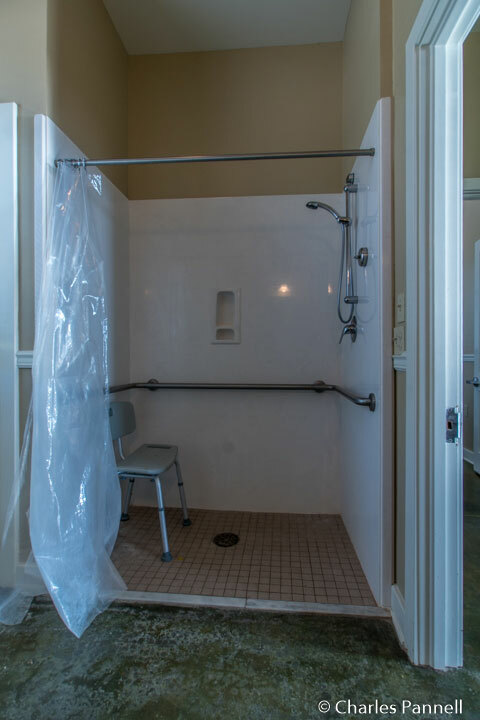 The bathroom has a roll-in shower with grab bars, a hand-held showerhead and a portable shower bench. 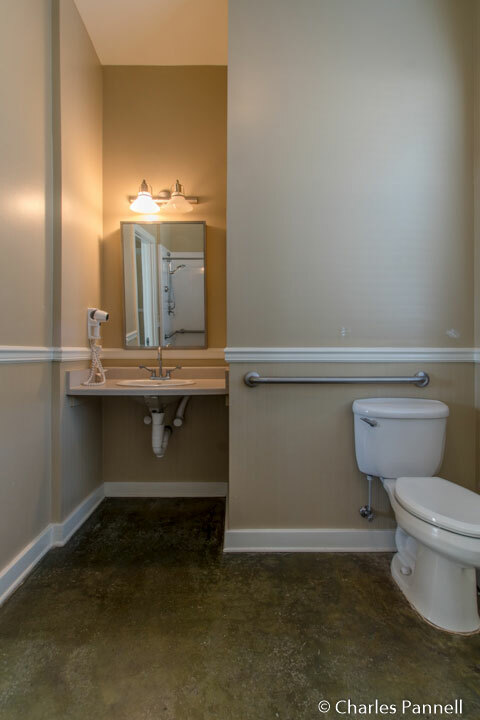 The toilet grab bars are located on the left and back walls (as seated), and the well-designed bathroom is also equipped with a roll-under sink and an angled mirror. But the good access doesn’t end on the inside, as there’s level access to the side screened porch as well as the spacious front porch. 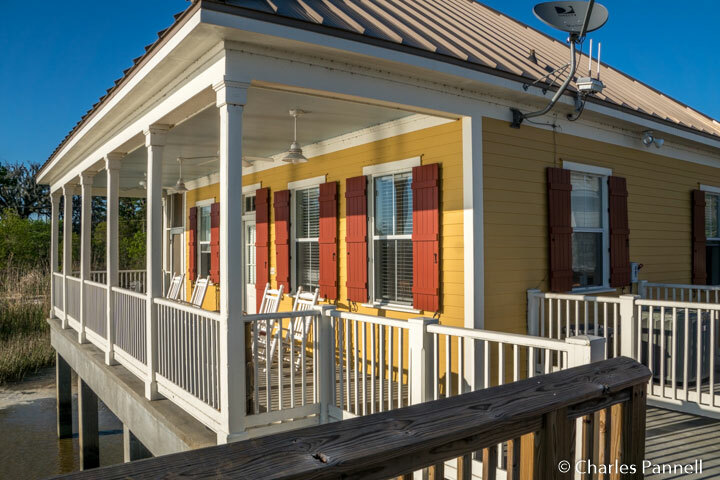 Both porches are a great place to enjoy a glass of wine and watch the sunset over Lake Pontchartrain. It’s a shame that the cabins were damaged by Hurricane Isaac, but I’m absolutely thrilled with the access features in the renovated models. The only bad thing about the cabins is that they go like hotcakes, so a little advance planning is required to secure a reservation. The cabins can be booked up to a year in advance; but don’t tarry or you’ll literally be left standing out in the cold. Call (877) 226-7652 to reserve your cabin today.